4th of July FIRECRACKER SALE! 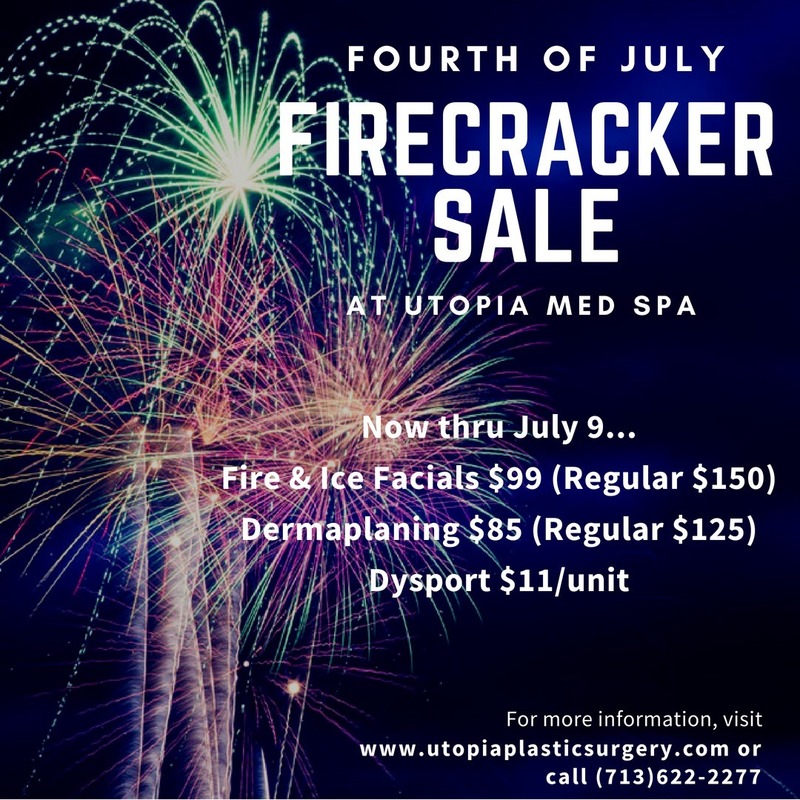 Now thru June 9th, Save big on our Fire & Ice Facials, Dermaplaning and Dysport injections all at incredible prices! 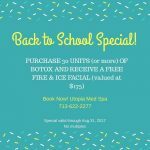 Get your skin young and glowing this summer! Get “fired up” with our Fire & Ice Facial (also known in Hollywood as “The Red Carpet Facial”) famous for its instant brightening, smoothing and tightening of the skin. Come see why all the celebs are raving! Dermaplaning, also a fave in the entertainment industry, eliminates facial fuzz that cakes up in makeup and leaves the skin surface fresh and smooth. This creates the perfect canvas for skincare products and cosmetics to glide on smoothly and work their magic! Crows feet creeping up? Wanting a more youthful look? Aesthetic Nurse Brooke Gary uses Dysport to eliminate frown lines, crow’s feet, nasal lines, and even underarm sweating. Call us today (713) 622-2277 to book your next appointment and feel fabulous for summer! 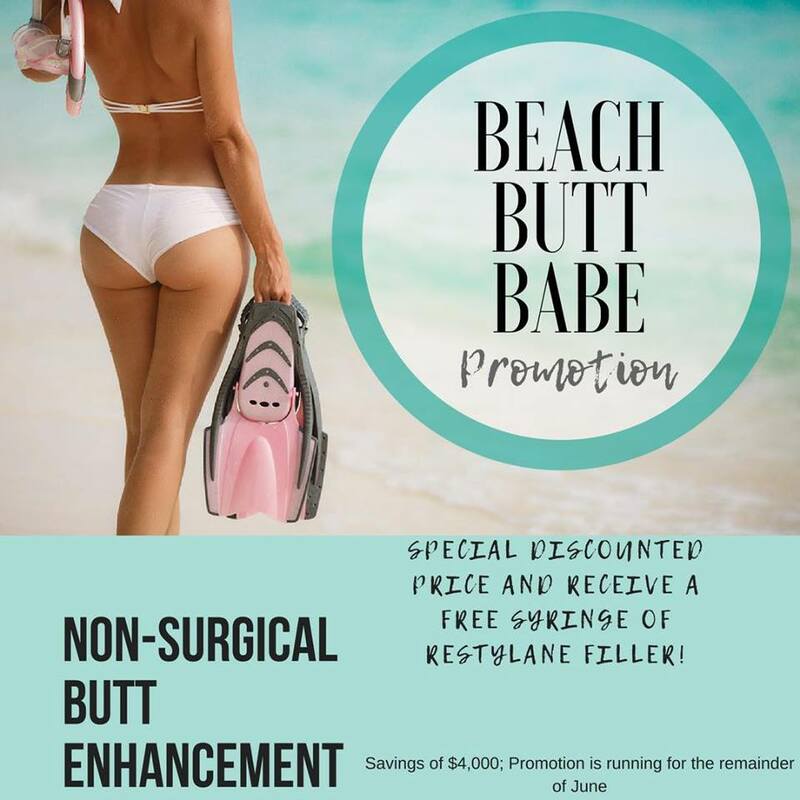 If you have gone to a consult for a Brazilian Buttock Lift using your own fat only to be disappointed to discover you are not a candidate for that procedure; then THIS it the PERFECT treatment for you! 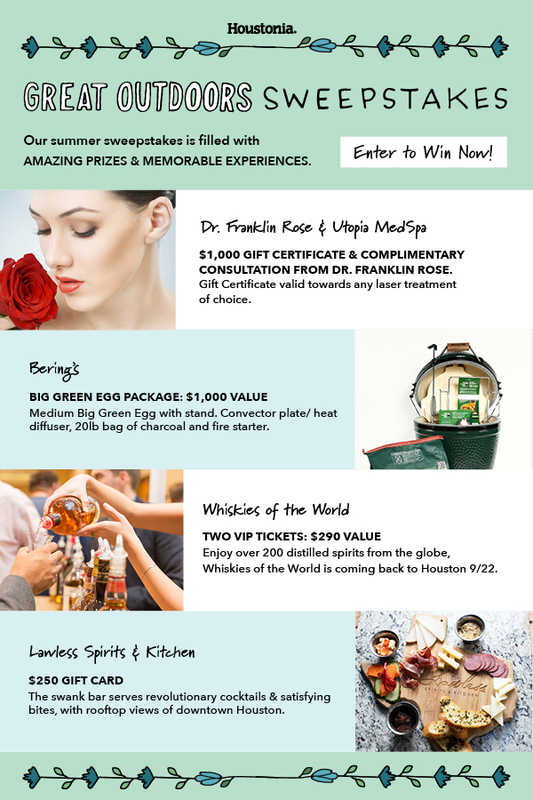 Houstonia Summer Sweepstakes-Win a $1,000 Laser package from Utopia & Dr. Franklin Rose! 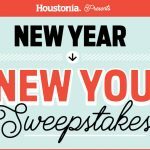 Houstonia presents the 2018 Summer Sweepstakes! It’s officially summer! 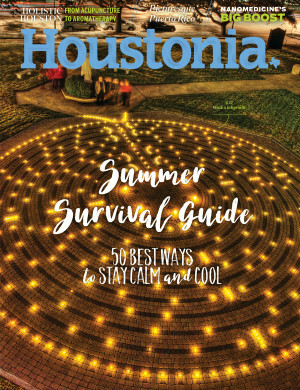 Houstonia Magazine has what you need to beat the heat! 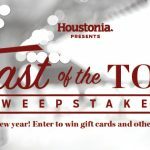 We’ve partnered with some awesome people with Houstonia Magazine & friends: helping bring you the best prizes and many memorable experiences that get you out of the house and having fun! 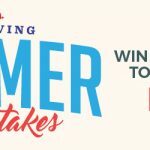 Enter for them all or choose the ones you want to win! Contest ends June 30. 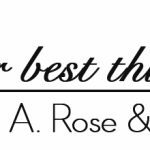 Enter for a chance to win the prizes you want or try for them all! 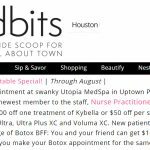 You could win a $1,000 Laser Treatment Package from Utopia Plastic Surgery & Medical Spa & Dr. Franklin Rose in the Houston Summer Sweepstakes! Review page 70 of the June 2018 issue of Houstonia Magazine, currently on stands now – featuring thousands in prizes including a $1,000 Gift Certificate valid toward ANY Laser Treatment and includes a complimentary consultation from Dr. Franklin Rose & Utopia MedSpa ~ along with the GRAND PRIZE: A 2-night stay at the new Fairmont Austin hotel and MUCH more! 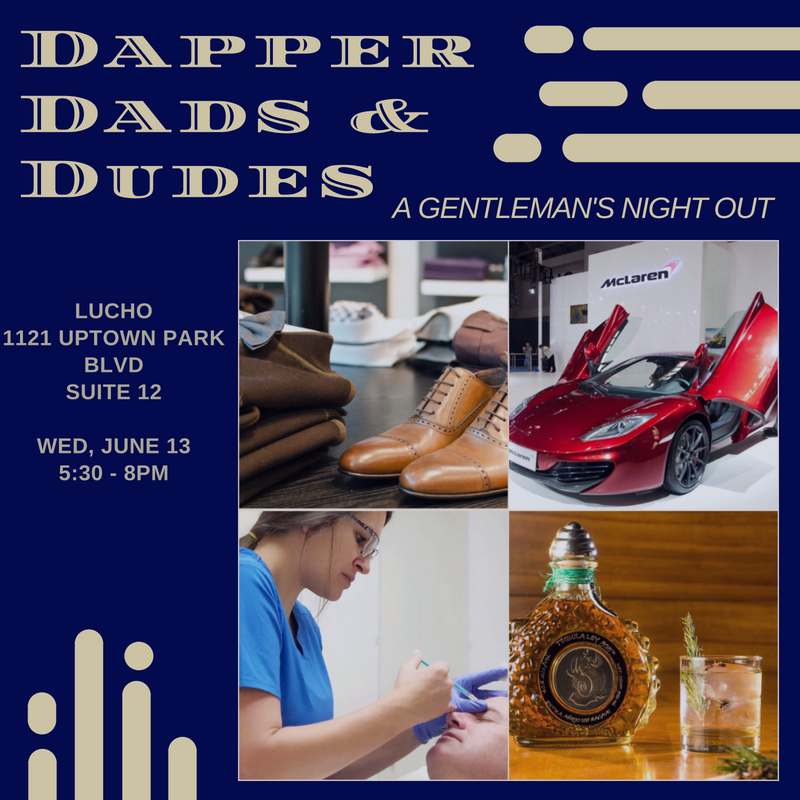 Hosted at LUCHO http://luchohouston.com/ in Uptown Park, the perfect location for creating the celebratory ambiance of the evening will be amplified by the divine masculine appeal of the various luxury vendors including Lucho’s exclusive private label cigars and custom-fit high fashion clothes, shoes and finery. 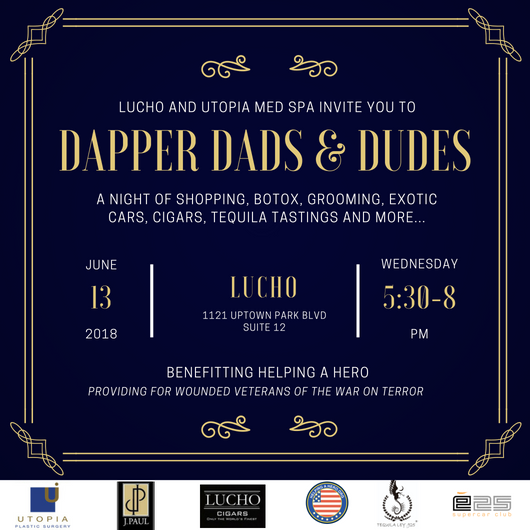 Award-winnning J Paul Skin Care for Men will join forces with Utopia MedSpa for the evening at LUCHO-helping men who want to look their very best with the latest in anti-aging offerings tailored for a man’s unique skincare needs. Adding to the excitement: Ecurie25 Super Car Club will be in attendance – proudly displaying exotic cars (think Ferrari, McLaren, Rolls Royce) so attendees are sure to know they have arrived at their destination! Ecurie25 is a private members club that provides an unmatched experience behind the wheel of the world’s finest supercars combined with access to epic driving tours and elegant, private F1 events. A tequila tasting will be set up by Ley 925 Tequila, makers of Ley Diamente, World Guinness Record winners of the most exclusive bottle of tequila in the world. Lite bites and elevated eats by https://www.instagram.com/Easthamptonsandwich/ and wine will be served throughout the evening. Empowering severely wounded veterans returning from service in the War on Terror, primarily by providing specially adapted homes to reintegrate them into their community in Houston Texas and more. 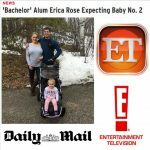 Cindi & Dr. Franklin Rose’s Daughter/The Bachelor star Erica Rose and husband, Charles, are expecting their first child together! Erica Rose is thinking pink! 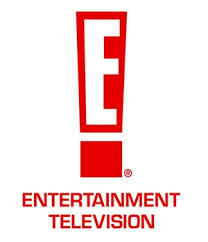 The Bachelor star is expecting a baby girl, E! News has exclusively learned. To celebrate the gender reveal, Erica and Charles posed for an intimate maternity photo shoot. The blond bombshell highlights her baby bump in a black lace dress, while her hubby hugs her from behind. 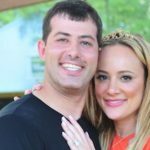 She tied the knot with Sanders last December, in a lavish ceremony in Houston Texas, with Bachelor & Bachelorette alums like Prince Lorenzo, Vienna Girardi, Renee Simlak, Tara Durr, John Presser, Cory Shivar, Holly Julian, Blake Durst, Sadie Murray, Jamie Otis Hehner, Kasey Kahl, Melissa Schreiber and AshLee Frazier. 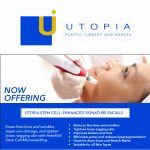 Introducing Utopia’s Signature PRP Growth Factor Enhanced Microneedling Facial. 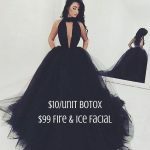 Via CW39 NEWSFIX HOUSTON – “A new medical procedure dubbed the “vampire facial” is gaining popularity after celebrities like Kim Kardashian tried it. “A vampire facial is a very crafty name for a facial that uses your body’s own blood to rejuvenate the skin,” said Dr. Jamal Bullocks, Kelsey Seybold. 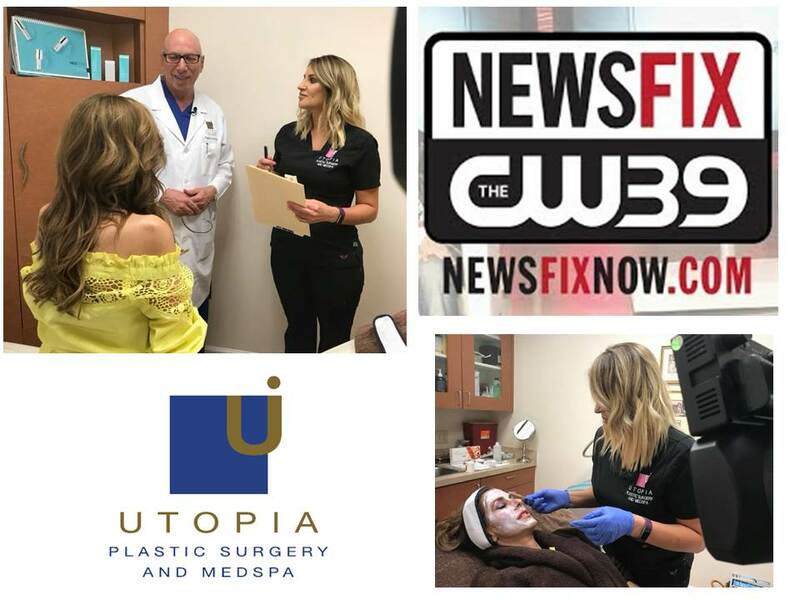 Monday, May 21, 2018 at 5:00 & 9:00pm: NEW, EXCITING techniques in the battle against aging to be featured on CW39 NEWSFIXHOUSTON Monday – Growth Factor Enhanced PRP Facials result in glowing, smooth skin that appears 10+ years younger! 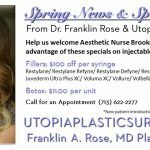 Plastic Surgeon Dr. Franklin Rose and Aesthetic Nurse Brooke Gary of Utopia Med Spa have developed an innovative combination of facial treatments called the “Growth Factor Enhanced Facial” using the patient’s own PRP (platelet-rich plasma) tissues to minimize fine lines & wrinkles, repair sun damage, tighten pores, improve texture and tone, erase acne scars and more. This type of treatment is suitable for all skin types. Growth Factor Enhanced Facials start by applying the PRP topically followed by microneedling to deliver the plasma into the skin’s dermal layer, followed by a renewing collagen mask for maximum absorption into the skin, resulting in refreshed, renewed, glowing skin looking years younger. 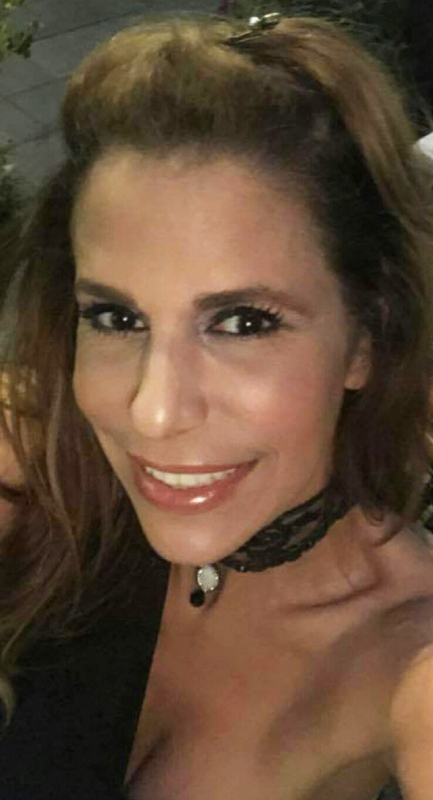 Linda Matar is a patient who has undergone this popular new facial treatment. THE SCIENCE: This innovative use of PRP and growth factor enriched techniques has the potential to revolutionize traditional anti-aging techniques. Plastic Surgeon Franklin A. 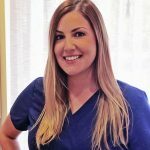 Rose, MD has been studying and implementing this European technique to harness the powerful characteristics of growth factor enriched plasma cells to increase the facial rejuvenation benefits of cosmetic treatments for over ten years. Researchers have been exploring the regenerative properties of growth factors and platelet-rich plasma (PRP) for years, experimenting with their potential to aid in anti-aging treatments in aesthetic procedures. The source of these cells comes from the patient’s own adipose tissue. Today, PRP procedures have become widely popular in the “beauty world” being used by celebrities like Kim Kardashian, Angelina Jolie, Kobe Bryant and more. See this new PRP treatment performed in-action on CW 39 Newsfix on Monday at 5 and 9:00pm with Dr. Franklin Rose and Aesthetic Nurse Brooke Gary. 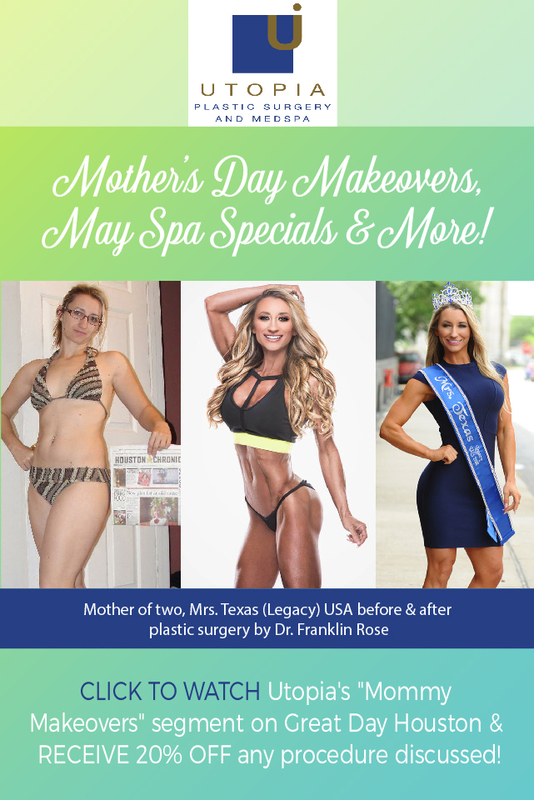 Mrs. Texas Plastic Surgery & Mommy Makeover by Dr. Franklin Rose of Utopia Plastic Surgery & Medical Spa! Mother’s Day Spa Specials for the month of May! 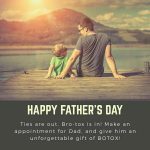 ICYMI: In case you missed it – KHOU 11 News – Great Day Houston with Deborah Duncan – “Mommy Makeovers” & more ~ Look your BEST this Mother’s Day with the help of Dr. Franklin Rose & Aesthetic Nurse Brooke Gary! 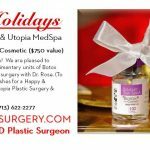 Utopia Plastic Surgery and Med Spa has a special offer for Great Day viewers!